Walka Studio represents duality in all the sense of the word. 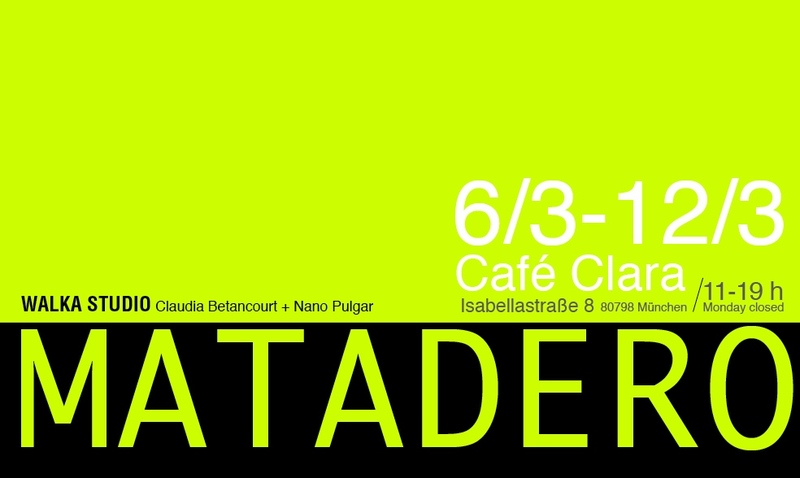 Claudia Betancourt, intuitive, emotional and profoundly interested in local crafting traditions, and Nano Pulgar, shrewd, rational and highly experimental stand at opposite ends of the spectrum of the creative process. Together they execute a fluid dance which teases the boundaries between art and design. They have a clear notion of the local and a wide, but critical, view of the foreign. And they often engage in clever actions to create a larger and more inclusive audience, intervening public realm and partnering with amicable spaces not traditionally associated to the exhibition of artistic jewellery. On this occasion, Walka Studio, Cafe Clara and Otro Diseño, bring a Chilean exhibition to Munich, to be one of the many relevant satellite events that surround Schmuck adding true cultural diversity to this international event. Matadero is the latest collection of the Walka duo. It contains a very specific narrative about Chilean traditional crafting materials, the historical and cultural nexus of the southern cultures of the Pacific Basin and the evolving influence of the conquest of Chile, initiated by the Spaniards in 1541. This narrative, however, is represented in an international language, allowing jewellers and jewellery enthusiasts of all nationalities to understand how this jewellery from across the ocean functions within a mostly western context. Matadero is a series of necklaces and pendants, jewel categories that step away from the often resorted to European brooch and allude to the prevailing ornament of the Pacific cultures. 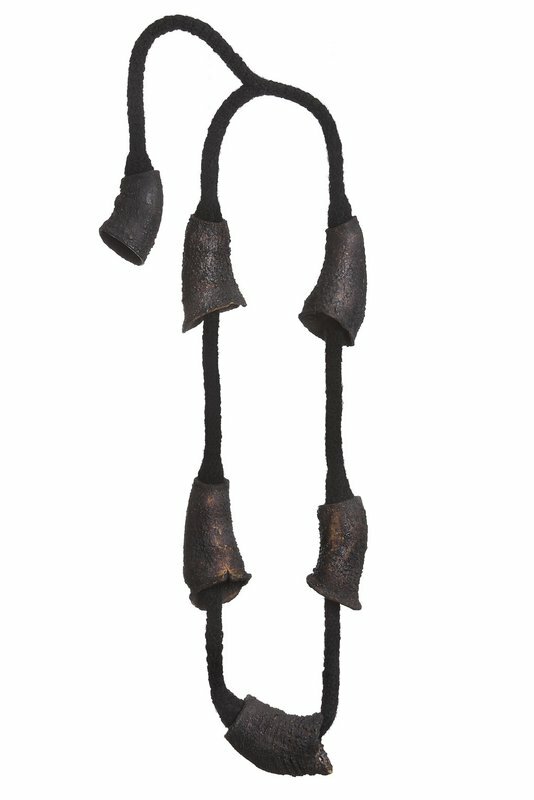 The series is the product of a long investigation about the symbolical and aesthetic characteristics of body ornamentation in the Pacific Basin until its evolution into contemporary jewellery; as well as the experimentation with new methods to work the cacho de buey or bull’s horn, a traditional material in Chilean craft that has been worked by Betancourt’s family for generations. 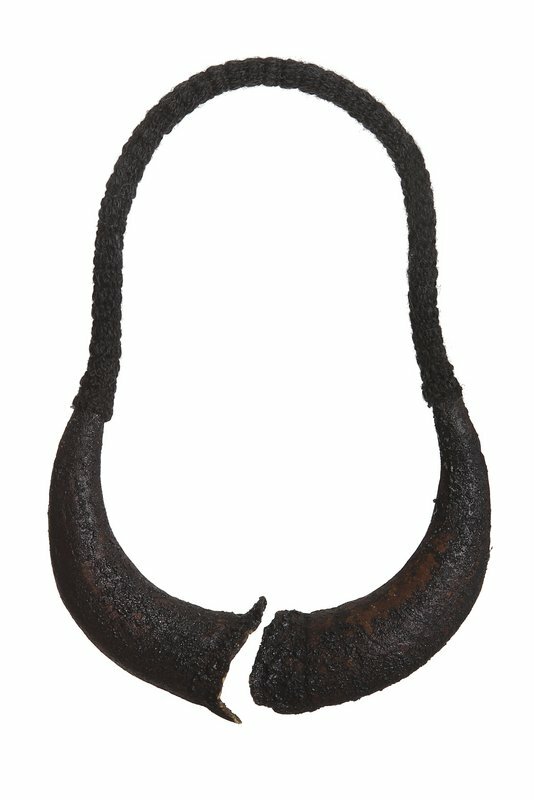 The relationship established between body and ornament in Matadero reveals how social custom and stigmas around the subject of death or murder of animals, affect our capacity to deem animal remains as acceptable materials, thus disregarding the origin of bodyornamentation and the sacred connotations associated with it in the cultures of the Pacific Islands (Polynesia) and Latin America. Matadero uses both bull´s horns and hooves which had been part of a previous collection dedicated to the fashion industry, delicately tinted in a faint pink colour for that occasion. 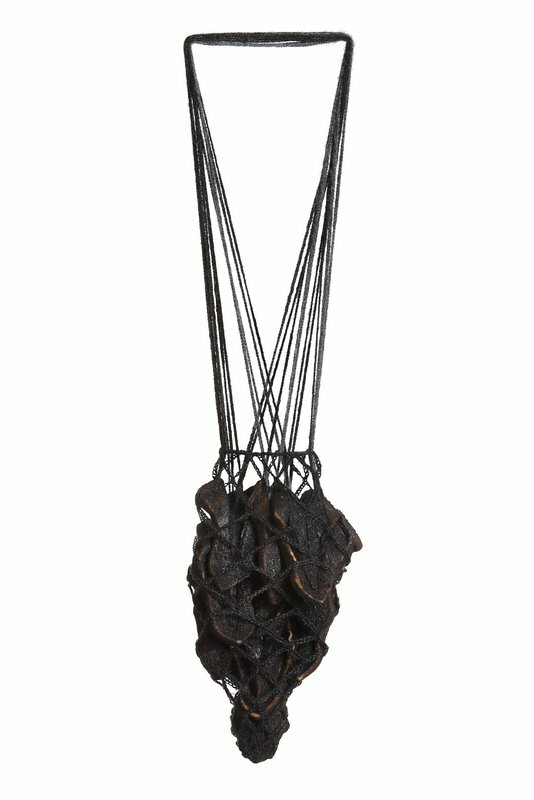 The fashionable neckpieces have been deconstructed, burnt and rebuilt as entirely new pieces that fascinate and repulse. The newly transformed pieces allude to one of the darkest periods in Chilean history: the 17 year long dictatorship that was common to many other Latin American countries and which is still a source of preoccupation and reflection for many artists from the continent. The necklaces and pendants in this exhibition also allude to the particular geographical situation of Chile, a long, thin strip in Latin America which is wedged between the Pacific Ocean and the Andes mountain range. 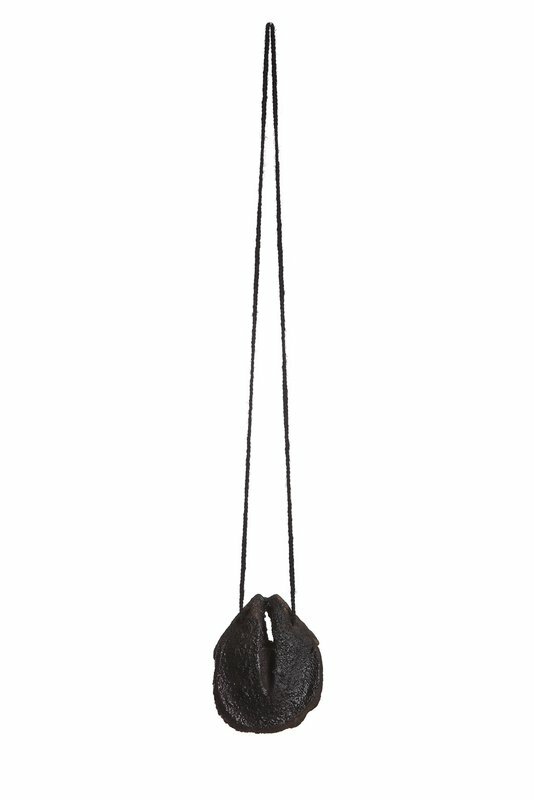 Every piece in the series uses soft, comforting supports and laces made of Andean Alpacas. Surprisingly, the pieces are extremely easy and comfortable to wear, once the repulsion produced by the idea of wearing burnt bones has passed. They are soft, light and smoothing. They are made to be used, as that is how they complete their cycle. And they show Walka’s regal acquaintance with fashion and wearability. Matadero becomes now a synonym for duality: the series blends cultures, materials, processes, meanings and historical periods in an unusual but profoundly skilful way. I am certain that this exhibition will promote an interesting dialogue and exchange among the participants of Schmuck.